We consider it our job to be stewards of the natural world. Our approach is to select the best quality ingredients and stay out of the way. With care and attention our cuisine is as simple as possible, but not simpler. 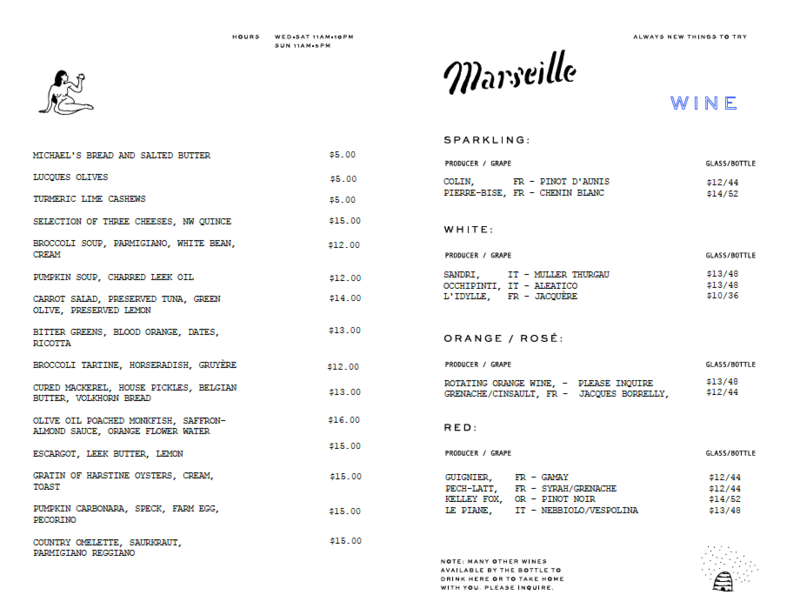 Check @marseilleseattle for the latest updates.